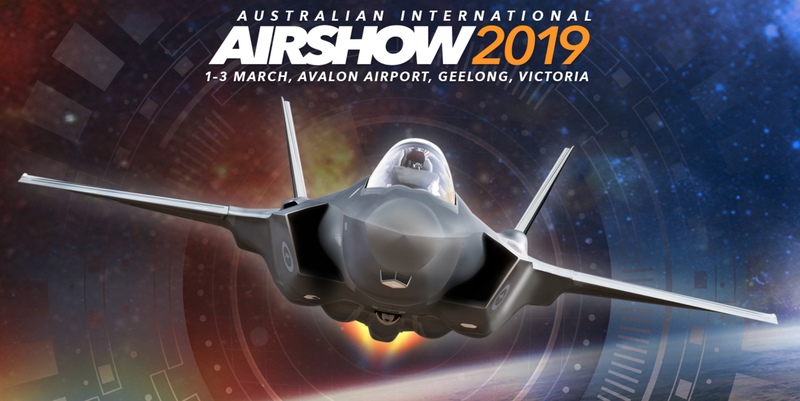 Seems such a short while ago that we were enjoying the 2017 Australian Airshow – and yet it’s already 2019 and the bi-annual show is almost upon us again! Foxbat Australia will, as usual, be exhibiting in the static aircraft area. We are planning to have our new A22LS Foxbat demonstrator there, which is fitted with an AirMaster in-flight adjustable propeller, plus a nice red, highly specified A32 Vixxen. The exact site details have not yet been confirmed but we will publish them as soon as we have them. Location for the 2019 Airshow is Avalon Airport, south west of Melbourne. Dates for your diary are: trade days, Tuesday 26 February-Friday morning 01 March 2019; public days, afternoon & evening of Friday 01 March – Sunday 03 March. We will have a limited number of trade day tickets available, with a priority given to existing Foxbat Australia owners – please contact Ido or me if you are interested. Here’s a short video about an aircraft ferry trip from Tyabb Airfield in southern Victoria to a cattle station near Dirranbandi in Queensland – a distance of over 650 nautical miles. And here’s a bit of background. What turned out to be one of our favourite Aeroprakt A32 Vixxen aircraft arrived at Moorabbin in mid-December. I say ‘favourite’ because its new owner had chosen a great colour scheme, perfect for this time of the year – red wings and stabiliser with a white fuselage, fin and rudder, finished off nicely with a red propeller spinner. Our engineering colleagues immediately named it ‘Rudolf’ after Santa’s reindeer saviour. Rudolf’s new owner – Jeremy Hill, based near Dirranbandi in Queensland – could not clear work commitments enough to come to us and pick up his new aeroplane, so my colleague and friend, Ido Segev, agreed to ferry it north. In all, the flight was over 7 hours’ in duration, plus stops, squeezed in before New Year, so Ido could enjoy celebrations with his loved ones on his return. Departure day – 27 December – dawned clear but cool at Tyabb, with a strong northerly blowing – not ideal for a long trip northwards. Even in the A32 Vixxen, Ido was planning a ground speed of only 85 knots for the first part of his journey. Temperatures were forecast to be close to 40 celsius by the time he reached Jeremy’s farm, with the northerlies gusting all the way. In the event, with a true airspeed around 115 knots and a ground speed of 95 knots, at around 7,500-8,500 feet, Ido made the journey in a single day, with plenty of daylight to spare. I suppose I could add that Rudolf was fitted with an autopilot, which helps a lot on long-distance flights. Nevertheless, it was still a long way over most of a day, in thermic and bumpy conditions. Many thanks to Jeremy and his family for their hospitality during Ido’s visit and their 6-hour round trip by road to drop Ido at the nearest airport, so he could return home in time for New Year 2018! The A22LS Foxbat – and more recently, its farmer-orientated sibling, the A22LS Kelpie – have been popular with outback owners for quite a few years. These rugged, easy to handle aircraft seem to stand up well to Australian country conditions. The icing on the owners’ cakes has been the excellent resale value when it comes to upgrade or switch to a newer aircraft. It looks like the A32 Vixxen, with its extra turn of speed, is set to continue the Aeroprakt reputation for affordable aircraft with great (legal) load carrying capabilities! Here’s a video from across the Pacific from my colleague Dennis Long, newly appointed as one of the agents for Aeroprakt in North America. He took his new A22LS demonstrator to Oshkosh and flew into the grass ‘ultralight’ strip…quite a few times, judging by the video! One of the few specifically light aviation airshows in Australia this year – Ausfly 2015 – will be held at Narromine, NSW, from 4-6 September. The main days for exhibits and flying displays will be Friday and Saturday (4 & 5 September) with most people, as usual, departing for home on the Sunday morning. I’m pleased to announce that Foxbat Australia will be publicly showing the new A32 aircraft for the first time, alongside the familiar A22LS Foxbat. As well as all the static exhibits, a full flying display is planned, with plenty of aerobatics and other aerial delights. The show is primarily sponsored by the Sport Aircraft Association of Australia (SAAA) who are the body mainly responsible for amateur built aircraft. Although there will be many workshops around building your own aircraft, there will also be safety and other seminars covering a variety of other aspects of light aviation. For me, one of the highlights of these fly-in airshows is wandering along the lines of parked aircraft and marvelling at the sheer diversity of all the flying machines. Ausfly caters for a wide variety of aircraft from warbirds and general aviation through to amateur built, light sport and recreational/ultralight aircraft. Occasionally you might see one for sale – you never know what you might find! There’s a dinner on the Saturday evening, where awards will be presented to special aircraft in a range of categories. If you haven’t already booked accommodation (or you’re planning on camping), it might be a bit late for motels in Narromine itself, but there’s still plenty of room available in nearby Dubbo. Come along and say hello and have a good sticky-beak at the A32. You won’t be disappointed!